Andrew Heming's Blog: Wide Grip Pull-Ups for a Wide Back? 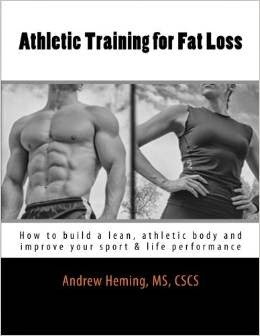 Want to build a powerful looking, athletic physique? If so, you need to build that coveted "V" shape - wide shoulders and lats that taper down to a narrow, chiseled waist. So just what is the best way to build a wide back? For years many people have preached wide-grip pull-ups for a wide back, but is this the best way to go? Does a wide grip really help with back width? If you look at photos of bodybuilders in muscle magazines and websites, you will often see exercises such as cable crossovers. The reason is simple - it is a great exercise to photograph because the bodybuilder is basically doing a most-muscular pose and looks great doing it. From behind, the wide grip pull-up looks like a double biceps pose on an elite bodybuilder - and this looks great in a magazine. With bodybuilding as with every other sport, you always have tradition. The "wide grip for a wide back" message has been preached for years. In fairness, there are bodybuilders who have build impressive lat width with wide-grip pull-ups. 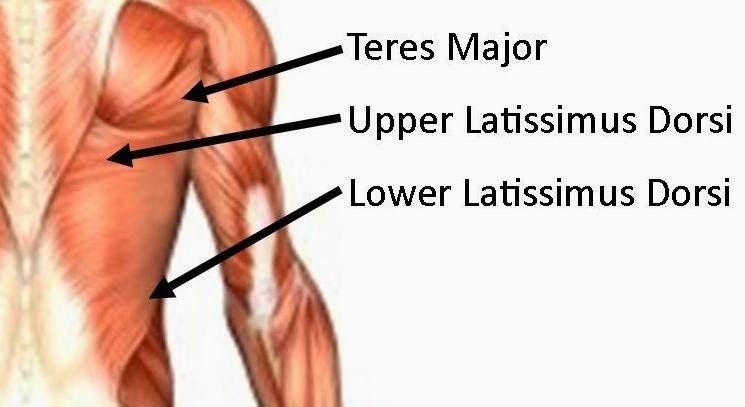 The Latissimus Dorsi is a big muscle that covers a lot of surface area. From the picture, you will notice that the fibers at the top run quite horizontal while the lower fibers run at a more of a vertical angle. The result of this is that you will use more of the upper Lat and Teres Major when the movement is shoulder adduction (i.e. pulling your arms from straight out to sides towards your sides as in a wide-grip pull-up). When you do pure shoulder extension (think pullover or close grip chin-up - pulling the elbows down in front from overhead while keeping them in tight to your sides), you use more of the lower fibers. When developed, these fibers can really help with lat width. When talking about exercise selection, joint health often takes a distant back seat to muscle activation. However, if you are an athlete who needs healthy shoulders for your sport, you are over 30, you have a lot of training millage on your joints and/or you are plan to train for years to come, this is a BIG deal. The position of the wide-grip pull-up places the shoulder in what is called the "high five position" and this is a more vulnerable position for the joint. A study that came out in the April 2014 Journal of Strength & Conditioning research examined the muscle activation using EMG (electromyographic) measures of several muscles during the lat pulldown with different widths (wide, medium and narrow). The results showed virtually no difference in muscle activation between grips. The research also looked at strength with the different grips and found subjects were stronger when using a narrow or medium grip. Note that all of the exercises are done with a narrow grip and the elbows tucked into the sides. The video is hard to find on YouTube, but I tracked it down - click HERE to see Dorian in action (his back day starts at 34:39 on the video). When I started lifting weights, I never really liked wide-grip pull-ups and pulldowns. Now some people may see this and immediately think that I gravitated away from the wide grip because it is harder than the narrow grip. However, the truth is that I never found the wider grips to be effective for me. I had a hard time feeling my lats and they bothered my shoulder. The first time I tried neutral grip pull-ups (palms facing in towards each other) was the first time I really felt my lats and got a great lat pump. Since then, neutral grip pull-ups have been my favorite go-to lat exercise. With your training, remember that only two things matter: safety and results. Make sure that the exercises you select are effectively delivering the results you want and not beating on your joints. If this is happening, you are on track. If not, experiment with different versions of main movements until you find the variations that is best for you. If you have not tried narrower grip pulling for rows and pull-ups, I encourage you to give it a try. However, if you find the wide-grip pull-ups safe and effective for you - then enjoy! I would love to hear about your success with wide or narrow grip pulling exercises. What has worked best for you? Please feel free to post your comments below. I am really interested in maximal development on all areas of the back. I want to develop every area of the back to its fullest extent and leave no stone unturned. Thanks to your article, I understand that the Upper Lat fibers and Teres major are targeted optimally by Wider Grip Pull-Ups and the Lower Lat fibers are targeted optimally with Close Grip Chin-Ups. So, my question is: If I am doing 12 sets per body part each week, should I be doing 12 sets for Wide Grip Pull Ups to target the Upper Lat/Teres Major IN ADDITION to 12 sets of Close Grip Chin Ups or Pullovers for the Lower Lats? Or, should My 12 sets for lats be split between the two movements? To what extent will Wide Grip Pull-Ups recruit the lower lats, and to what extent will Close Grip Pull-Ups recruit the Upper Lat fibers/Teres Major? Thanks for reading Jackson. Split your 12 sets between the movements. If you find both wider and narrower grips feel good on your shoulders and work well for activating your lats, then you could do one grip earlier in your week and the other grip later in your training week. When you do pull-up, the whole lat will likely be working. The extent to which a grip emphasizes a particular part of the lat can vary from one individual to the next. The way for you to know is to focus on what you are feeling with the different grips. All the best with your back training!